I wish I didn’t know so much about moving but I do. I’ve lived all over the U.S. and even out of the country. I’ve moved by myself and with my husband. There was the time we moved by driving across the country with two tiny, five-weeks-old preemie babies. I’ve even moved internationally with my dog in tow on the airplane. I’ve learned through each situation how important it is to save money on moving costs to help relieve the overall stress of moving. I admit that each and every one of these moves represented a big change or a new step in my life. Now that I’m in my 30’s, I hope I don’t have to move too many more times! Still, I learned a lot about cost-saving techniques on each and every one of those moves. If you plan on moving or buying a new house this year, here are some tips to help save money on your move. Moving is something that takes a lot of time and planning. If you have enough warning, it’s much simpler to determine how much money to save before moving out of state. In the case that you have time to plan, you may want to start putting money in a high yield savings account like CIT Bank (they currently pay 1.55 percent) so you can build a cash cushion to deal with moving expenses. Unfortunately, you may not always have sufficient warning. Right after my twins were born, we found out that we had only 17 day to move across the country. The stress of that plus the stress of having preemies was unreal. Still, we spent the first few days in pure planning mode. We realized that if we towed a trailer behind our SUV, it would be cheaper than renting a moving truck. Then, we started calling tons of Craigslist listings to try to find a place to live. We had a friend tour rentals for us. It was miraculous that we were able to move in such a short amount of time, but we were persistent and got a plan into place to help us save money on moving costs. Of course, the more time you have to plan your move, the better. If you have a lot of time, I recommend both packing over the course of several months and taking your time to find a place to live in your new city. Reducing the number of items you need to move not only helps you save money on moving costs but it also frees up cash to defer other out-of-pocket expenses. Being organized may not save you much money when it comes to moving but it can make the entire move less stressful. As disruptive and stressful as moving is, the more you can do to make the process easier and less expensive, the better. The American Moving & Storage Association reported “the average cost of an intrastate move is $1,170, and the average move between states costs $5,630.” That’s a lot of money! 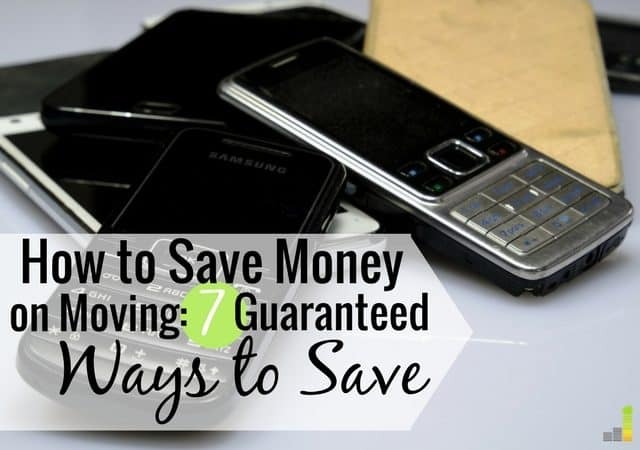 But there are ways you can save money on moving costs. For instance, rather than hire packers and movers to complete your entire move for you, you can do it yourself. When you pack your things yourself, you not only save money on moving expenses but you guarantee all of your valuables are packaged correctly. You might need a friend or family member to help you move your big furniture pieces but overall, you can accomplish most moves with 2-3 adults. Even if you receive relocation expenses from your employer, consider DIYing part of your move and saving any money that’s left over. You can get moving boxes for free off of Craigslist or ask local businesses or grocery stores for their boxes. I got 20 really nice moving boxes for free from my doctor’s office just by asking. You can also buy packing tape in bulk from Amazon or big box stores like Costco. Another cost saving tip: if you know you’ll be moving, add one roll of tape to your basket every time you shop. That way, you don’t have to shell out hundreds of dollars just for packing supplies when it’s time to move. Most things in life are negotiable and moving is no different. For example, during my move to Michigan, I used a company called UPack which stored our belongings while we traveled and got ready to head to our next destination. I received a discount simply for calling and booking way in advance of our move. They told me that the closer they got to the moving date, the more the price went up. You can also negotiate with moving companies by offering to pay them in cash in full. If you have advance notice of your move, you can offset the costs by saving up money through selling items and decluttering. Gathering boxes, packing supplies, obtaining quotes from movers, and DIYing as much as possible also means big savings on your moving costs. 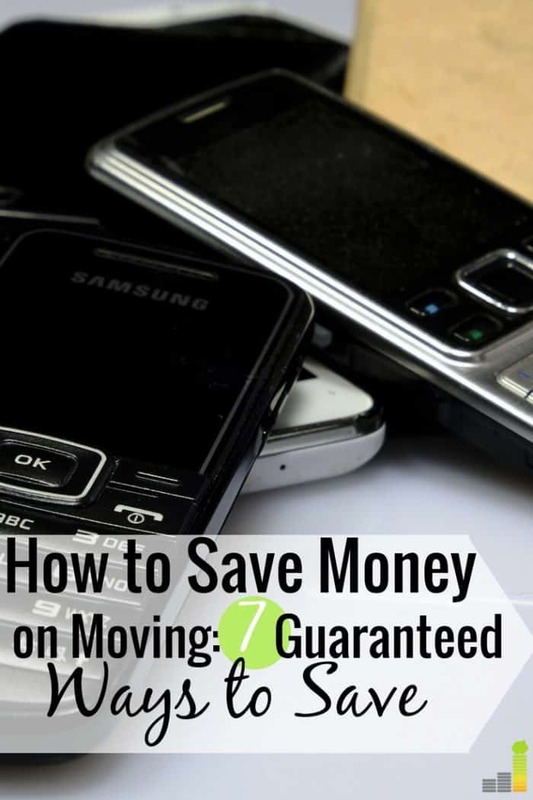 Moving can be extremely expensive but with these money saving strategies, it doesn’t have to be. What are some other ways you’ve been able to save money on moving costs? Do you prefer to DIY your move or hire movers? What have you found to work to save money on an out of state move?